contact importing from a wide variety of supported mail and contact sources in the new Google Contacts preview. A popular request from Google Apps users has been the ability to import mail in addition to contacts from additional sources. Today, we’re happy to announce that we’re adding two more: Gmail and Rediffmail. These secure user-initiated migrations can now be enabled from the Admin console and are powered by ShuttleCloud. If you have already enabled User email uploads from the Admin console, then this feature is already available for your end-users. 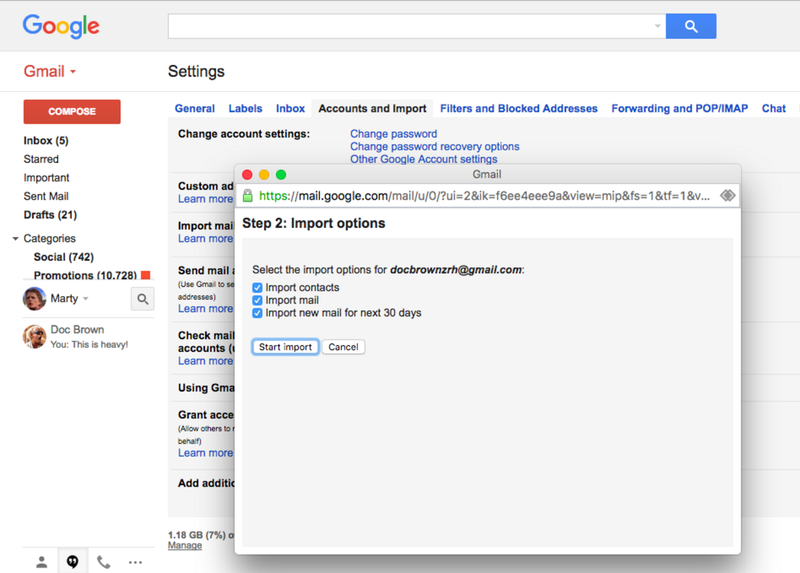 Once enabled, the user will see a new section in their Gmail settings to Import mail and contacts. Users will then follow the prompts to migrate their email and contacts. Note: If you import multiple times, the migration service will handle contact and mail duplicates seamlessly. Earlier this year, we launched contact importing from a wide variety of supported mail and contact sources in the new Google Contacts preview. A popular request from Google Apps users has been the ability to import mail in addition to contacts from additional sources. Today, we’re happy to announce that we’re adding two more: Gmail and Rediffmail.